Raven Industries Headquarters is officially a LEED Gold Certified facility. Raven Industries Headquarters is officially a LEED Gold Certified facility. The project submitted 61 total points with all credits being approved. 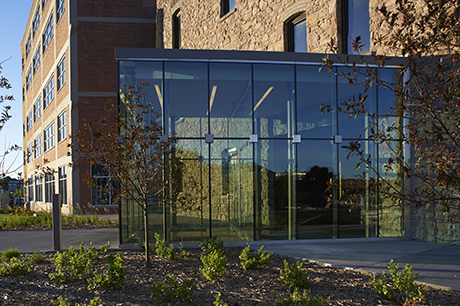 Raven is Koch Hazard’s 13th LEED certified facility. The firm currently has three others in progress. The LEED certification program is administered by the Green Building Certification Institute. To achieve Gold status, facilities must score between 60-79 points, in the areas of site, water, energy, materials and indoor environment.